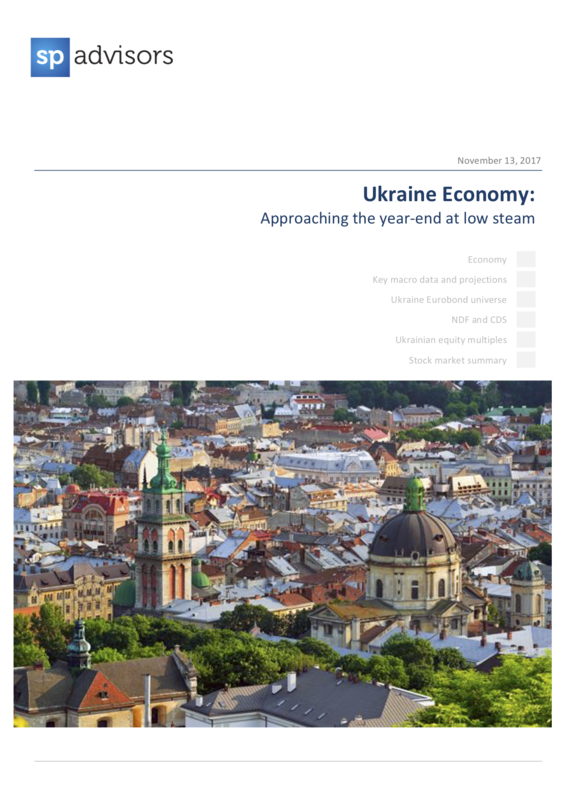 Ukraine's economy is approaching the end of 2017 at low power, with growth still hindered by the consequences of the crisis. Household and business sentiment is starting to improve, but it remains far from clearly optimistic. Despite material progress in areas like pension reform, the government has frozen other key initiatives, making a near-term resumption of lending under the IMF program highly unlikely. Still, key macro indicators show the economy balancing well. The exchange rate is fluctuating in a reasonable range of less than 5%, with minimal involvement from the NBU. The C/A deficit is tracking below 4% of GDP for the 4th consecutive year and inflows via the financial account are also healthy.